On Sunday Team Dimension Data for Qhubeka will start the Amstel Gold Race in Maastricht, Netherlands. The Amstel Gold race is the first of the 3 World Tour classics that fall under the Ardennes Classics label. This year will be the 51st edition of the Amstel Gold Race and riders will be faced with 248km and 34 noted climbs. While the climbs are not all that long (only 2 are longer than 3km), they are short, steep and once they start there is almost no respite between them. The Cauberg is considered to be the most famed climb of the race and riders will race to the top no less than 4 times. The final time up the Cauberg comes in the final 3km of the race and is often the stage for the race defining moment. Team Dimension Data for Qhubeka will start with a strong team, ready to challenge for a top result at the hilly Dutch classic. 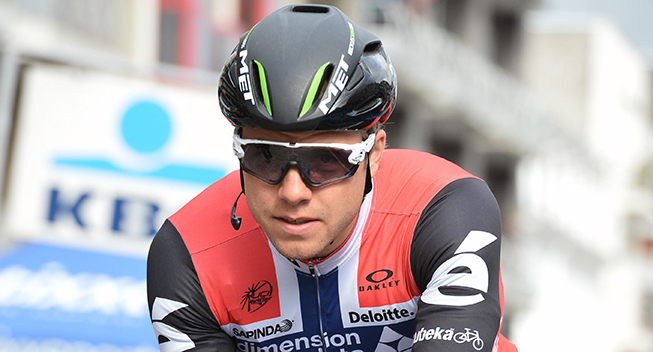 Edvald Boasson Hagen will lead the team with Kristian Sbaragli, Serge Pauwels, Nathan Haas, Omar Fraile, Jaco Venter, Natnael Berhane and Youcef Reguigui completing the roster. "After Edvald raced his heart out at Paris-Roubaix, fighting for the win right into the Velodrome, we were happy that we could convince him to take the start of Amstel Gold. He deserves our full support and are sure that he will be in the mix again. He has good memories from the region as he finished on the podium of the World Championships when Valkenburg hosted the event in 2012. With a strong team, we are ready to perform and promote our BicyclesChangeLives project at the Amstel Gold Race."